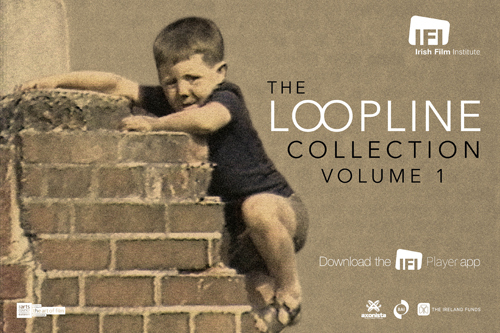 April 16th 2019: The Irish Film Institute (IFI) is proud today to unveil the first volume of The Loopline Collection, showcasing materials from Loopline Film, one of Ireland’s most influential production companies. Founded in 1992 by filmmaker Sé Merry Doyle, this pioneering company specialised in documentary and TV series, producing a number of hugely important films including significant portraits of prominent cultural figures and work highlighting pressing social issues. Among the material is previously unreleased footage of U2 playing live on Sheriff Street in 1982. The Loopline Collection can be viewed free of charge worldwide on the IFI’s online platform, the IFI Player and via the free IFI Player iOS app, developed by Irish tech company Axonista. In 2015, the IFI, in partnership with Merry Doyle, received funding from the Broadcasting Authority of Ireland to archive the materials of Loopline Film. Over a twelve-month period, he and archivist Eugene Finn fully catalogued 16mm and 35mm films, a variety of tape formats, and numerous audio materials which were then preserved and digitised by the staff of the IFI Irish Film Archive. James Gandon: A Life looks at the career of the renowned 18th century architect who designed some of Dublin’s most iconic buildings including the Customs House and the Four Courts; the documentary is notable for a particularly frosty interview with former Taoiseach Charles J. Haughey at his Gandon-designed home in Abbeyville, North Dublin. Rounding out this release are Martina Durac’s documentary Mairéad Farrell: Comhrá nár Chríochnaigh (An Unfinished Conversation) about the Republican activist who was shot by the British Army in Gibraltar in 1988, and John Henry Foley: Sculptor of the Empire, a look at the 19th century sculptor whose most famous statues include those of Daniel O’Connell on O’Connell Street and Henry Grattan on College Green. Before its launch today, The Loopline Collection was already an award-winning project. Last December, the IFI Irish Film Archive won the prestigious international Digital Preservation Coalition Award in the Safeguarding the Digital Legacy category. Seeing off competition from the White House Historical Association Digital Library and the UK Parliamentary Archives, the project required the creation of new custom tools to appraise the 350,000 pieces of the collection. These open source tools, known as the IFIScripts, have been shared widely with the preservation community worldwide and have been adopted by a number of institutions globally including the University of California, Berkeley. The Loopline Collection can be viewed free of charge worldwide on the IFI’s online platform, the IFI Player, and via the free IFI Player iOS app (download it here), developed by Irish tech company Axonista. For more information, images, and access to footage, please contact Stephen Boylan at the IFI Press Office at 01-6129448 or at sboylan@irishfilm.ie. 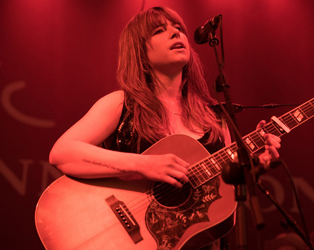 Sé Merry Doyle will take part in a public interview at the IFI on Tuesday, April 23rd at 18.30 – tickets are now on sale here. The Loopline Collection is kindly supported by Axonista, the Broadcasting Authority of Ireland, and The Ireland Funds. The IFI Player is delighted to partner with Irish Central as its official International Media Partner.